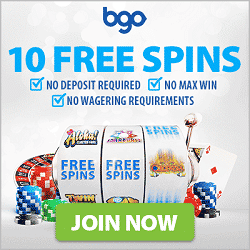 What more could a member of the BGO casino possibly need right now, than a fistful of coins, new games to play, lots of free spins, and limitless possibilities ahead. 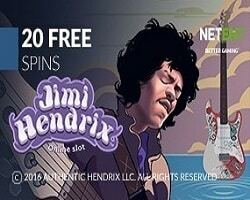 That is what awaits the players at casino BGO this month; that and so much more than that – which should be enough to get you started if you are still going to make a first deposit. Once you do that, you will be able to access all manner of software options, including sections of the site that offer games under such categories as Slots, Jackpots, Live, Bingo, Tournaments, Promotions, and Loyalty or VIP lounges – with exclusive benefits and special offers. Go find about what type of promos has the BGO program available at the moment, and make sure that you join the ongoing April Marathon, because that is the promotion described on this page. All players can receive a free entry into the £10K raffle – just by making a successful deposit on any day from April 1st until 28th. It's gonna be a 4 long weeks full of games and fun and whatever else has the BGO brought to keep its players happy. A minimum deposit of £10 will be enough to participate, and once you have deposit – simply head straight to the main tournaments section, and enter the April Marathon designated for that particular day. The main event of this campaign will naturally be the £10,000 tournament, but aside from cash prizes there are also Apple Watches, Apple Airpods, Amazon Vouchers, and many free spins. If you are looking for something exciting this month, then the Apple Marathon by BGO is definitely that, plus you can also grab a few quick bonus rounds and a welcome package – if you still haven't registered with this online casino. Go ahead, and join for some action between the 1st and 28th of April 2019 – getting to be the one who wins in the end.